A native of Upper Sandusky, Ohio, Elizabeth grew up in the harness racing business, helping her Mom with her stable of racehorses and working on her farm. 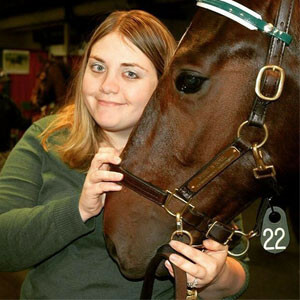 Elizabeth graduated from The University of Findlay in 2009, with a double-major Bachelor's Degree in Public Relations and Equine Business Management. She currently owns a standardbred broodmare and weanling in partnership with her mom. Outside of work, Elizabeth enjoys spending time with her family, friends, three dogs (Friendly, Jake and Paige) and cat (Scooter). She also likes going to horse races and spending time outdoors.